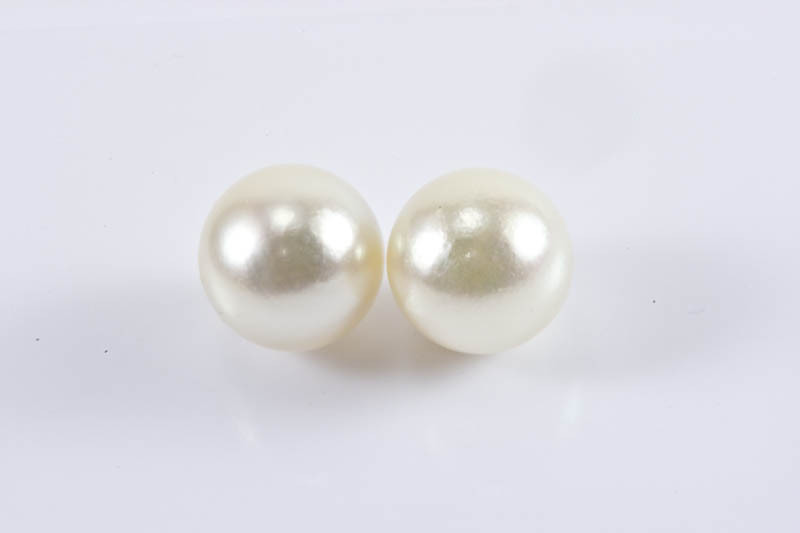 How pretty this pearl pin is! 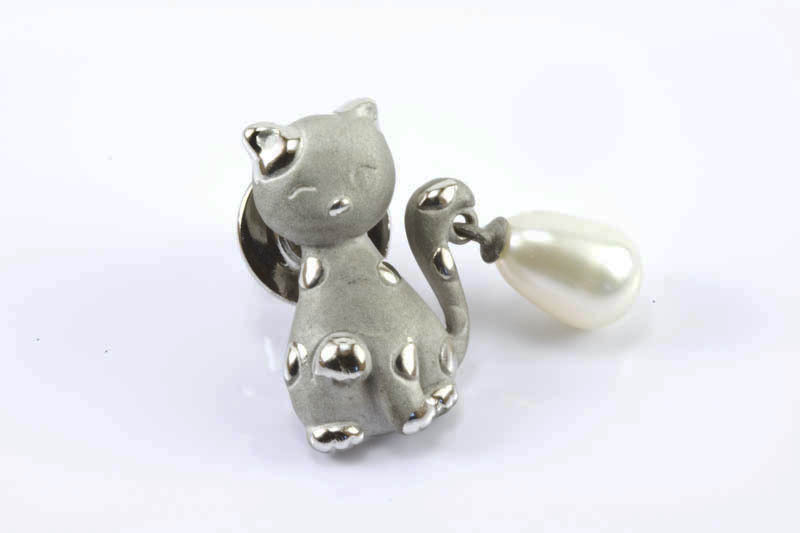 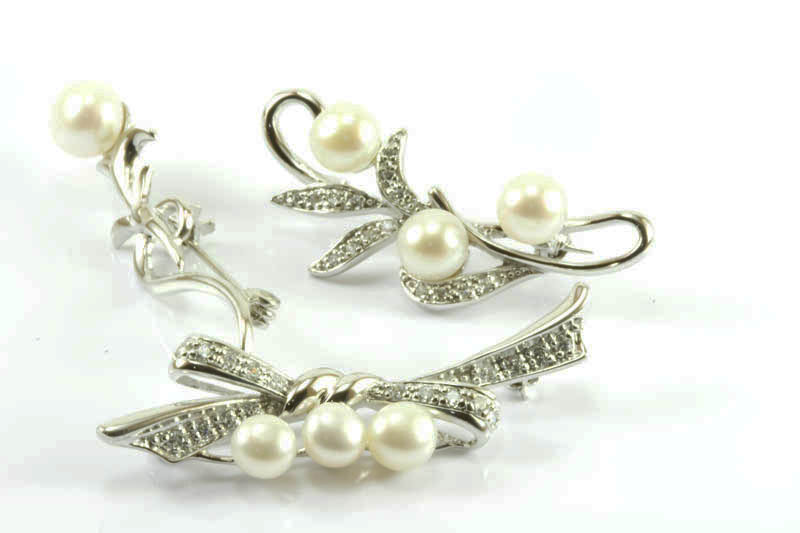 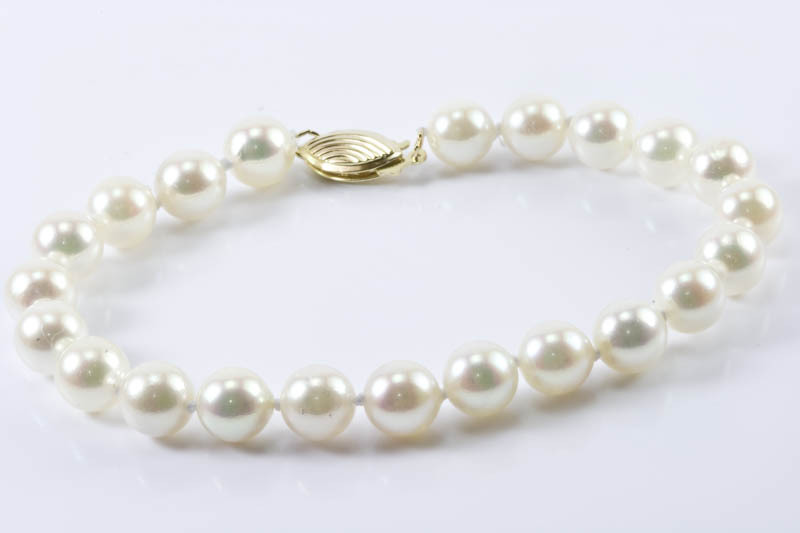 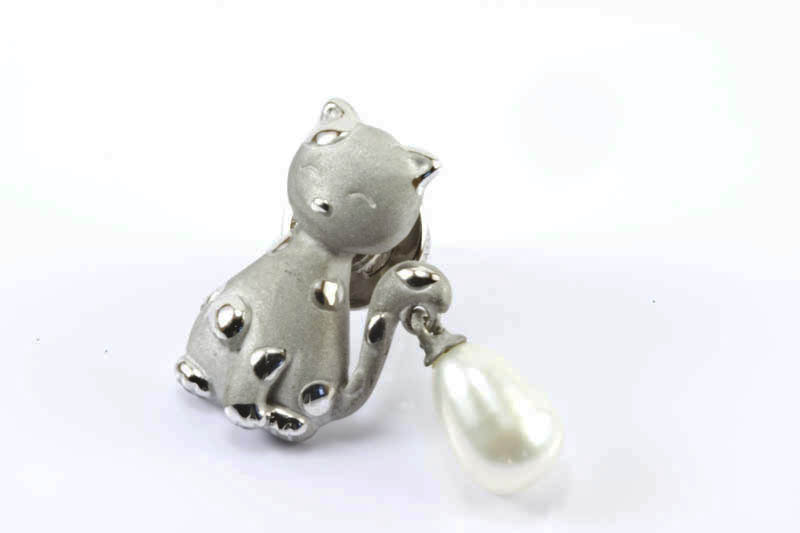 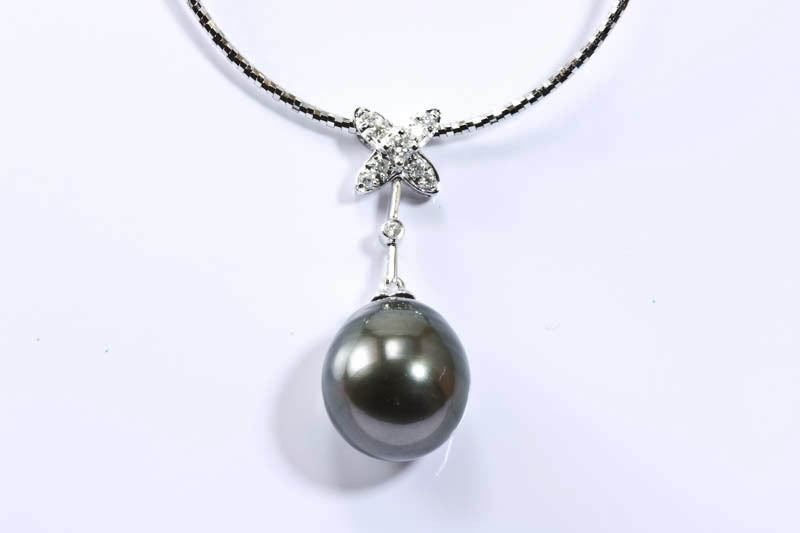 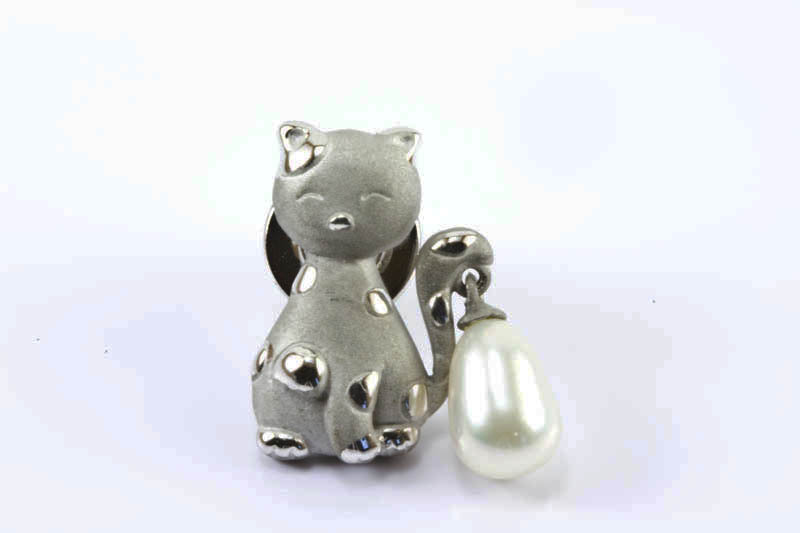 A tear drop freshwater pearl set under the cat's tail shows how cute it is. 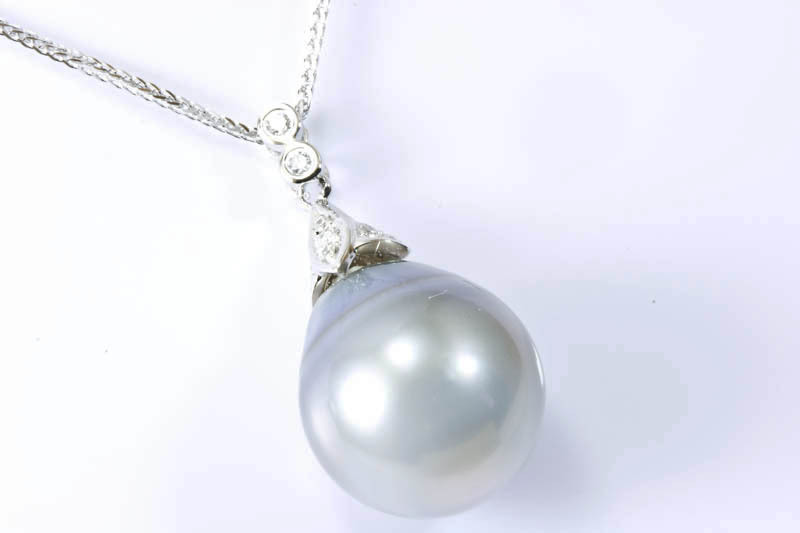 The size of this pearl is 7x11mm, beautiful white body color with pink and green overtones. 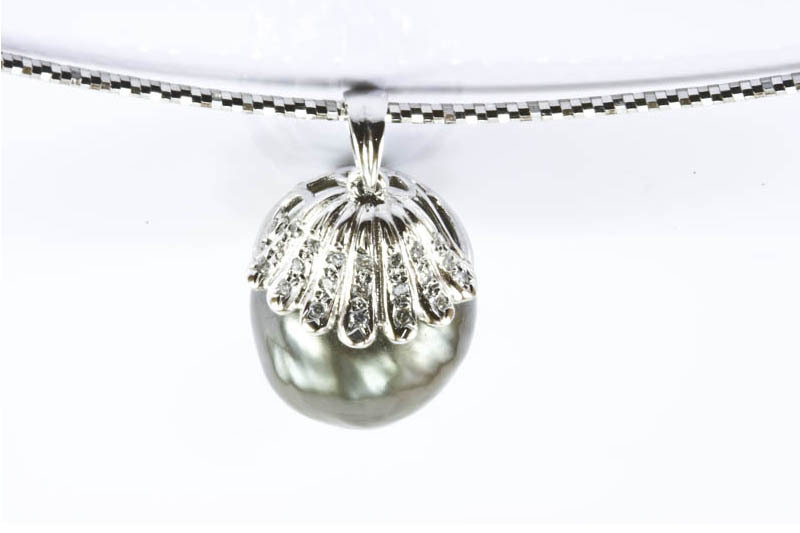 The mounting is sterling silver filled with 18k white gold.